850 sf new great room, bedroom, bar_1000 sf renovation office, dining, living, pool side area. 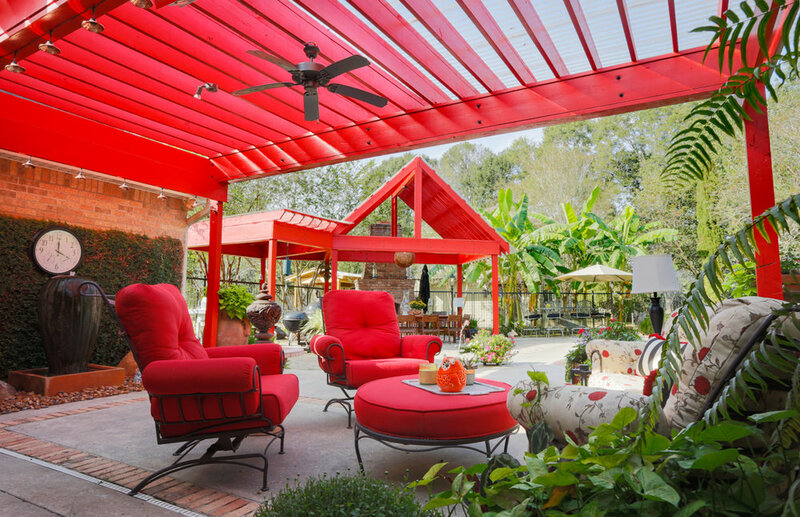 The Alemany addition and renovation began with the clients’ desire to add on to and update their Carencro, LA home. 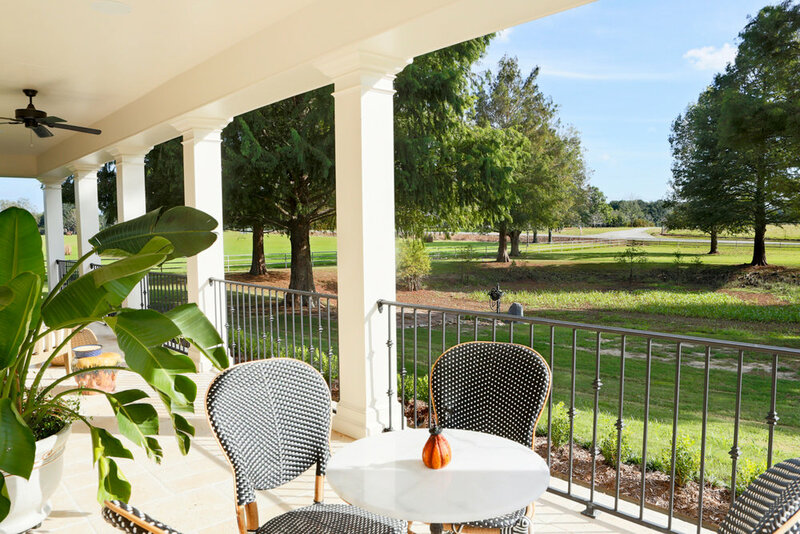 To update the typical suburban façade, a great room and spare bedroom were added to the front of the house with a loggia to overlook the pond. 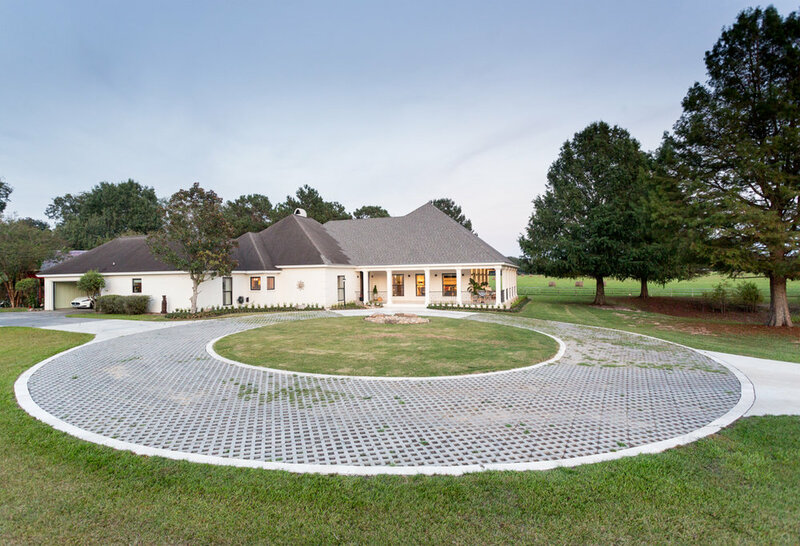 A large, travertine-lined circle drive of permeable pavers evokes the country estate presence the Alemanys were looking for. Travertine steps lead to a generous the wrap-around loggia, which opens to vistas of green on all sides. 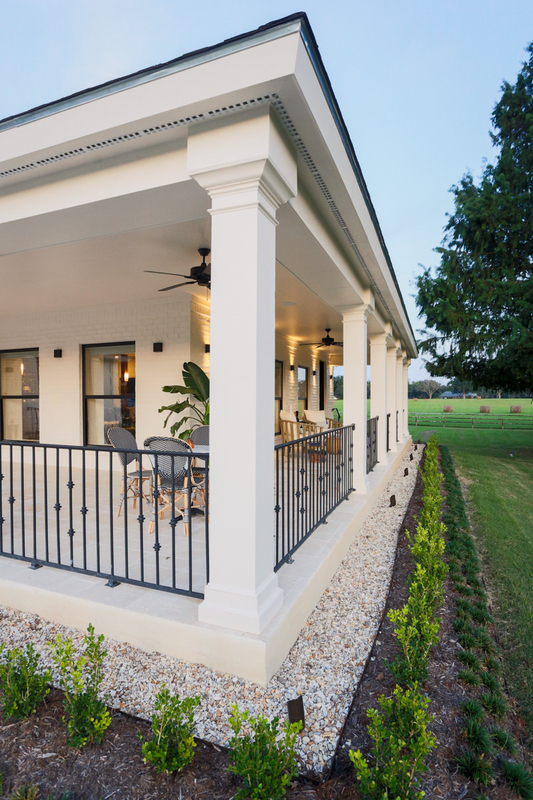 With a fresh coat of white paint and three updated façades, the house is completely transformed. 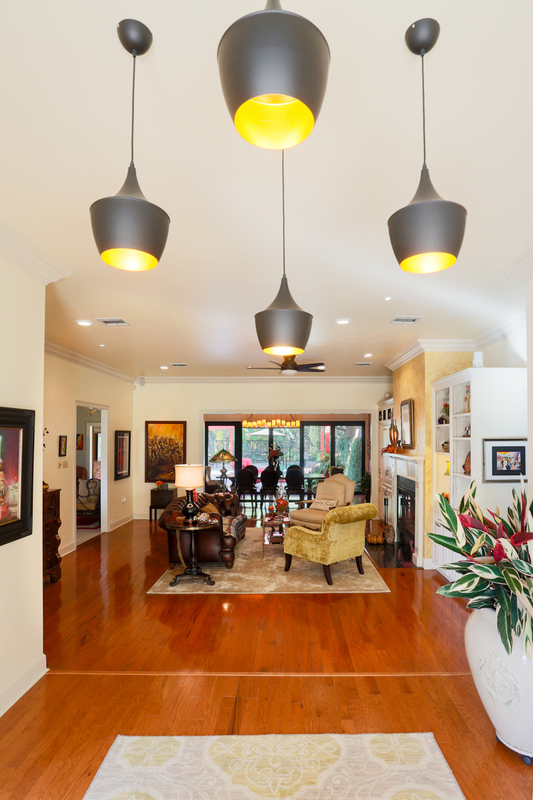 On the interior, the foyer was widened to create a grand entry with views to the backyard pool. 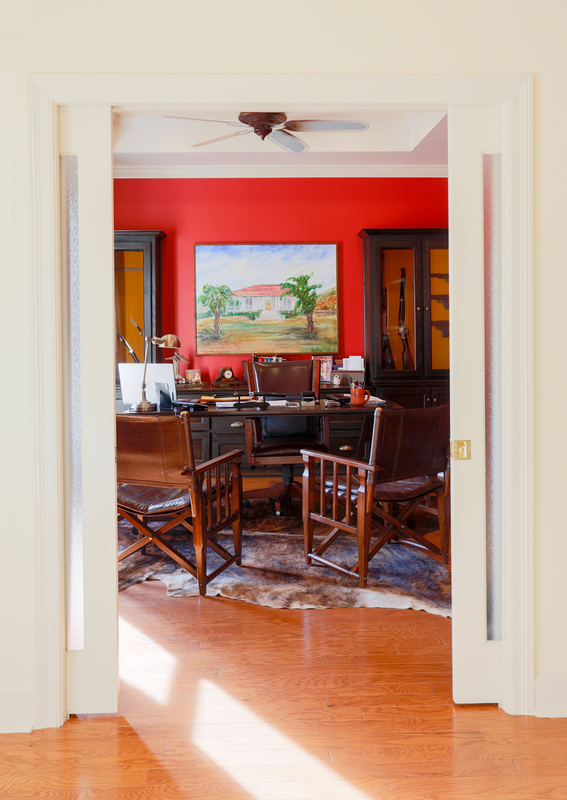 Off the foyer, a small dining area was redesigned to serve as an office for Dr. Alemany; frosted double pocket doors provide privacy in a room with dark-stained wood built-ins, gun cabinets, and a painting of an ancestral plantation house. 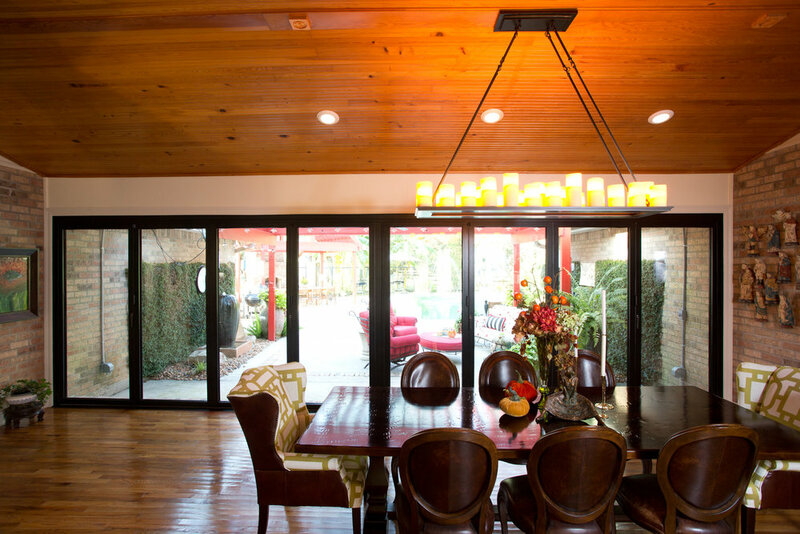 At the back of the house, a 25 foot, opening window wall system was installed to allow a seamless connection between the new formal dining room and a renovated outdoor kitchen with covered pergolas by the pool. 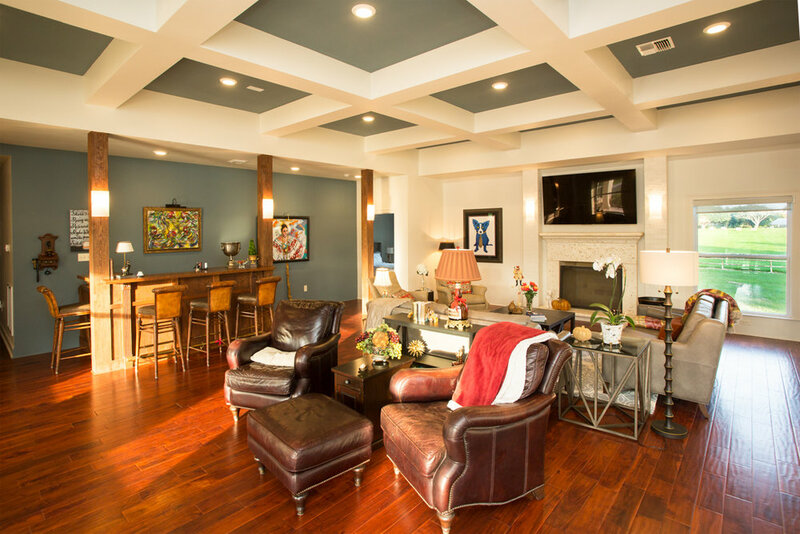 The great room provides a new gathering place for friends and family, with a high, coffered ceiling which dictates a grid of painted brick pilasters. Large operable windows form a strong relationship between the living space and its pastoral surroundings. A grand hearth creates a visual and familial focal point in the great room, which also houses a built-in bar with a sink, mini-fridge, icemaker, and ample storage in hallway closets. The house no longer looks or acts like it was. 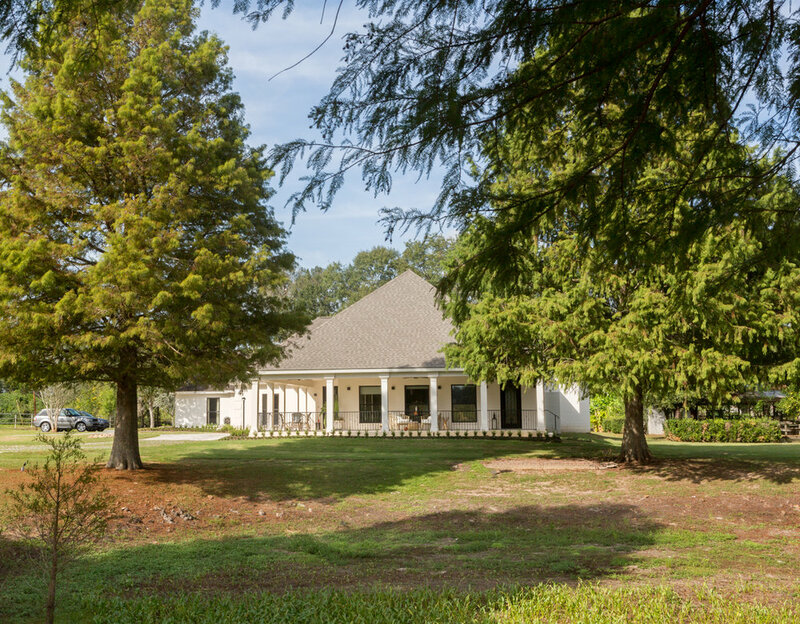 It has been transformed into the country estate the owner desired and has taken full advantage of the gorgeous Louisiana landscape that surrounds. 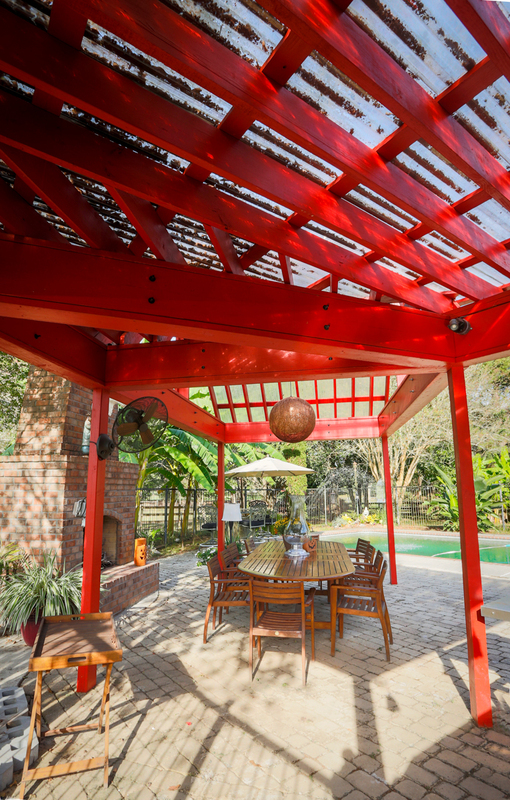 The owners can now enjoy coffee on their loggia while looking out to their 100-year-old cypress and pond. They can open up the house from front to back to let in the spring and fall breezes. The natural light (which the original house suppressed) now fills the social areas both morning and afternoon.